Stuart Wilcox is a seasoned operational leader with more than 25 years of experience in global supply chain, operations start-up, acquisitions, and new product commercialization for market leaders. He joined Curaleaf from Hostess Brands where he was the SVP/COO of Operations. Prior to Hostess, he held global senior operational leadership positions at The Original Cakerie, a private Canadian company, Fresh Express/Chiquita and ConAgra. Mr. Davidson is responsible for leading and managing the Company’s finance function and actively partnering with the executive leadership team on financial and overall business issues including the strategic direction of the Company. Mr. Davidson is an accomplished financial professional with experience leading publicly-traded and private equity owned businesses, most recently serving as Chief Financial Officer for Deluxe Entertainment Services Group. Prior to that, he spent nine years at Bally Technologies, Inc. where he rose through the ranks to become its Chief Financial Officer. During that time, he gained extensive experience driving capital market and M&A activities for the company and was instrumental in orchestrating the sale of the business to Scientific Games Corporation (NASDAQ: SGMS). Mr. Goffman brings 23 years of legal experience, including over 18 years as General Counsel and Secretary of innovative, growth companies, in addition to expertise in finance and corporate operations. His experience includes leading the legal departments at Netcracker Technology Corporation, a subsidiary of NEC Corporation, Realitywave and Improv Systems, and advising public and venture-backed companies as a member of one of Boston’s then largest law firms. Jon Faucher is an accomplished finance professional with experience working in fast-paced small to mid-sized high-tech organizations. He brings extensive experience developing and implementing financial systems to drive business decisions. Prior to joining Curaleaf, Mr. Faucher held finance positions at BionX Medical Technologies and Reveal Imaging Technologies. Carolyn Fedigan has over 25 years of experience in corporate human resources, working in a wide variety of industries including financial services, high-tech, biotechnology and public relations. Prior to Curaleaf, Ms. Fedigan served as Director of Human Resources at Audax Group and held human resource leadership roles at Harvard University, SHIFT Communications and Advent International Corporation. Katrina Yolen is a seasoned marketing executive with over 20 years of experience working in mid-sized and large consumer packaged goods companies, as well as in startups. Prior to Curaleaf, Ms. Yolen served as Vice President of Marketing at Dancing Deer Baking Co., Director of Marketing at Weetabix North America, and held senior marketing roles at GlaxoSmithKline and Kraft Foods. Ed Kelenchuk served as Investment Director for The Sputnik Group from 2015 to 2018, leading its portfolio management, including financing and mergers and acquisitions for Curaleaf. Mr. Kelenchuk has over 15 years of Corporate Finance Experience, ranging from investment banking at Merrill Lynch and Renaissance Capital to principal investments at TPG Capital and Och-Ziff, among others, focusing on emerging industries. Christine Rigby has over 20 years of experience in capital markets, investment strategy, institutional sales and private equity. Prior to joining Curaleaf, Ms. Rigby spent eight years as Vice President and Head Trader at The Sputnik Group and 14 years as Senior Vice President, Middle Markets Institutional Sales at Citigroup Global Market, Inc. and was responsible for overseeing $2 billion in client assets. Robert Winnicki is a leading cannabis chemist with expertise in extraction, formulation and cannabis product manufacturing. As a member of Curaleaf's Medical Advisory Board, Mr. Winnicki leads Curaleaf's product development team. Prior to joining Curaleaf, Mr. Winnicki was a certified laboratory director in Colorado and former head of R&D in medical cannabis cloning and cannabinoid synthesis. Ed Conklin brings over 30 years of experience in government and public relations management and strategy, including leading lobbying and grassroots engagement efforts. Mr. Conklin served as Senior Director and Chief of Staff of Global Government and Public Affairs at McDonald's and was Director of Public Relations for Jones Intercable Midwest Division and Director of Operations for Centel Cable Television. Mr. Melillo formerly served as Senior Director of Stores North America for Nike, Inc. (NYSE: NKE), and Vice President of Stores for DTLR/Villa, a leading footwear and apparel retailer. Mr. Melillo has more than 20 years of experience in retail leadership and store operations. He has been instrumental in retail expansions, store design/construction, merchandising and omnichannel commerce in hundreds of stores, in addition to developing and leading retail teams across the country. Jessie Kater has over 15 years of experience in product development and commercialization across defense, pharmaceutical and cannabis markets. Prior to Curaleaf, Mr. Kater worked at Waters Corporation where he led sales and business development in the Cannabis market across the Western US and Canada. Additionally, he was the co-founder of c3 Labs, the first cannabis contract research organization on the West Coast. Peter Clateman has more than 20 years of legal experience in investing and investment funds, including more than 15 years as general counsel. He has served as GC and CCO of The Sputnik Group and Renaissance Capital, as well as VR Capital, an award-winning, distressed-asset fund with more than $2 billion under management. Mr. Clateman also served as head of Legal and was a Management Board Member of UC Rusal during its acquisition of SUAL and assets of Glencore to become the world's biggest aluminum company. He previously was an associate with Skadden Arps Slate Meagher and Flom. Greg Schaan has more than 38 years of experience in the agriculture and horticulture industries. Prior to joining Curaleaf, he held senior management positions with market leaders such as Land O’ Lakes, Terra, and Monrovia. He recently served as President of Curaleaf’s Connecticut operations. Gretchen McCarthy has managed medical cannabis dispensaries for the past seven years, helping to scale operations and rapidly expand the business across multiple states. Prior to Curaleaf, Ms. McCarthy spent four years as Dispensary Operations Manager at Maine Organic Therapy, and was responsible for maintaining the dispensary's high standards for patient care, as well as human resources, marketing and logistics. John Dol has over 20 years of experience in the agricultural industry. Before joining Curaleaf, Mr. Dol served as Director of Operations for Maine's largest commercial scale tomato producer, Backyard Farms, and led the startup and management of 144 acres of modern day cutting-edge greenhouses and cultivation facilities. Ms. Brice previously served as Director of Compliance and Risk Management at the Dimock Center. Keisha established the company’s first compliance department where she was responsible for regulatory compliance for all components of Dimock’s multi-faceted operations at the local, state and federal levels as one of the largest health centers and human service agencies in Massachusetts. Regulatory oversight and management included strict adherence to state and local regulations of the DPH, DEA, DDS, and FDA in addition to accreditation compliance of the Joint Commission, FTCA and HRSA. In her capacity as the Director of Compliance, Keisha completed competitive federal grant renewals, site inspection preparations, risk analysis and numerous corrective action plans to mitigate risk vulnerability and exposure. She also served as a program administrator for Bay Cove Human Services a CARF accredited program that provided various services for addiction and recovery aligned with psychiatric evaluations and treatment for diagnosed and undiagnosed mental health patients. 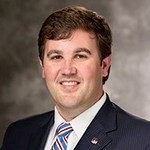 Matthew Harrell previously served as the Government Relations Manager for McDonald's. Prior to that, Matthew was the Governmental Relations Specialist for the North Carolina School Boards Association.